You’ve got the odd blemish, a bit of dry skin, a razor cut and chapped lips? You need a miracle. Well hold on there look what we have here, a product that fixes all of them in one! 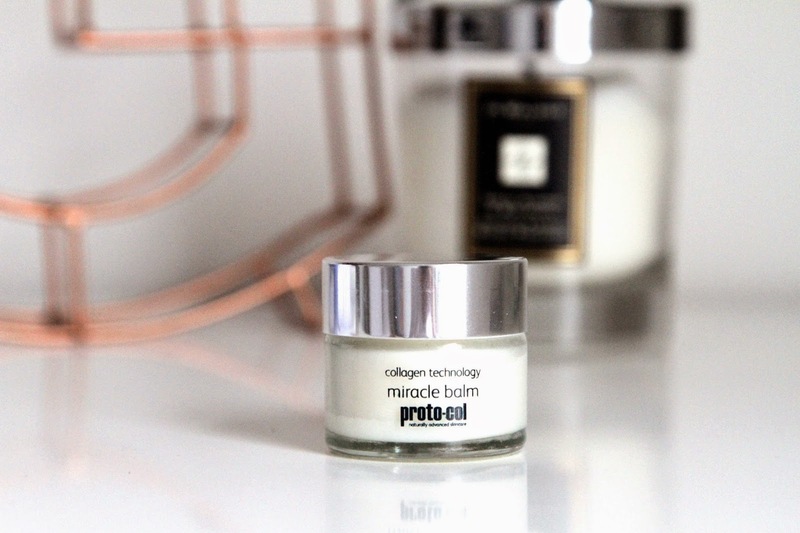 The Proto-col Miracle Balm. Enough of the cheesy intro to this post and onto the important stuff. 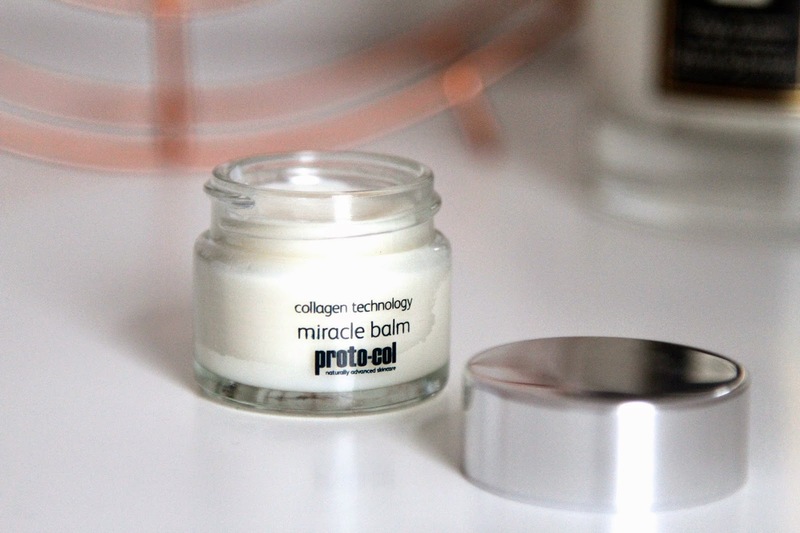 Proto-col is a brand I was introduced to a few months back with their Collagen Facial Serum. This product literally blew me away so when I was asked to try out their new release I was over the moon. The Miracle Balm is a jack of all trades, that can be used to treat blemishes, heal cuts and sooth dry skin including chapped lips. It’s definitely one of those products to keep in your backpack or hand bag for all times. Using a collagen enriched formula it takes no time to get right to work at the source of the problem. I’ve used this on a few different areas of my body for different problem, including spots on my face, spots on my back, dry skin on my arm and dry lips… and I can say now it has helped every one of them. I can’t believe how effective this formula actually is and wonder, why aren’t there other products out there like this! Now lets get to the in depth part, what does it actually contain. You’ll be surprised to know a lot of the ingredients are natural and quite familiar. Plant Derived Collagen: A nourishing high-grade ingredient that plumps, firms and hydrates the skin leaving it feeling soft, supple and firm. Hyaluronic Acid: Capable of holding up to 6000 times its own weight in water, hyaluronic acid delivers intense hydration to the skin leaving it feeling smooth and plump. Beeswax: Known for its anti-bacterial and anti-inflammatory properties, Beeswax can help to balance the skin and reduce areas of redness and irritability. Jojoba Seed Oil: Known to help ease rosacea and acne, jojoba seed oil is an anti-bacterial and anti-inflammatory healing ingredient, helping to repair skin by delivering moisture and powerful antioxidants. Vitamin E: A powerful antioxidant that protects against radical damage and environmental aggressors. Orange Oil: A natural anti-inflammatory and antiseptic that helps to balance and detox decongested skin whilst soothing dry areas. Bergamot Oil: A powerful antiseptic with healing properties to treat an array of skin problems such as acne, excess oil, psoriasis and can also be used as a natural insect repellent. Coral Seaweed:Rich in regenerating Amino Acids, Calcium and Magnesium, Coral Seaweed will help to retexture, brighten and soften skin. It has a light zesty fragrance to it which isn’t at all overpowering, and feels soothing why applying to any area of the body. The best thing about this product, is that it suits all skin types, so unless you have a really bad skin condition or allergies, you’ll be fine with this one! At £14.95, it’s such a great price for literally a miracle in a jar. Have you tried any photo-col products? What were your thoughts? Next Post Speed Up Your Skincare.